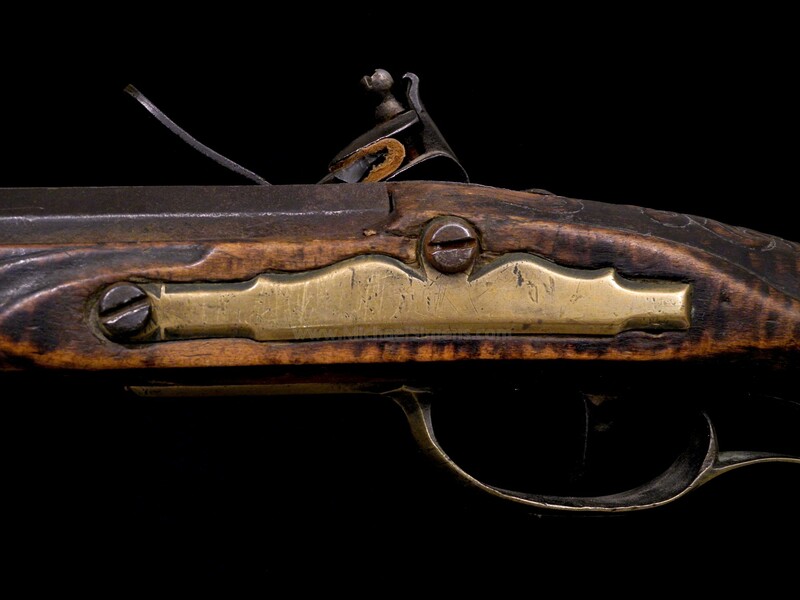 This is a stunning Golden Age Kentucky Rifle made by John Bonewitz, formerly in the Joe Kindig Collection. It is untouched save for a re-conversion to the lock, totally in the black, never cleaned or waxed. 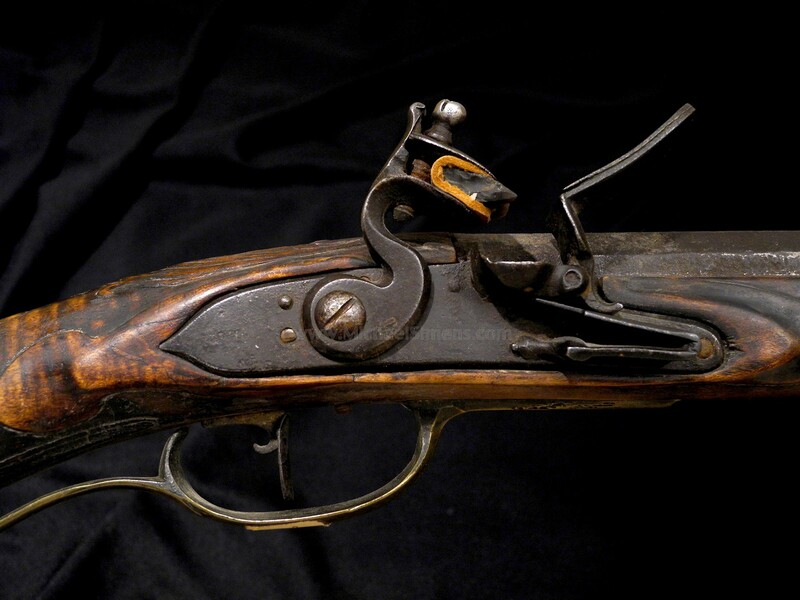 The only thing done to this gun is a wipe down with a dry cloth to remove old dirt and dust. 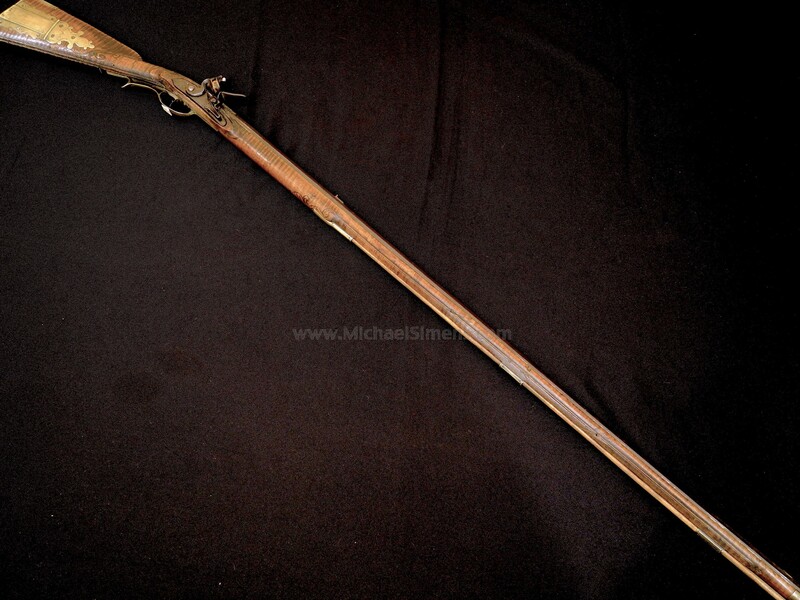 It came right out of Joe's collection a few years ago with another gun on these pages that were purchased by former president of the Kentucky Rifle Association, Brian Lamaster. 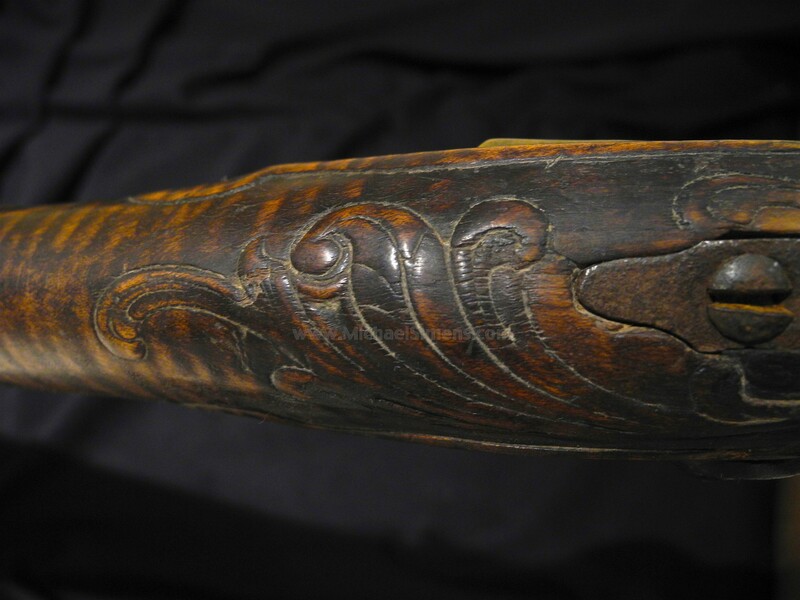 One of the best guns ever found by Bonewitz, the color and surface condition of the gun highlights its beautiful iridescent curl its entire length, with no breaks or major dings, obviously seeing careful handling during its period of use and carry. 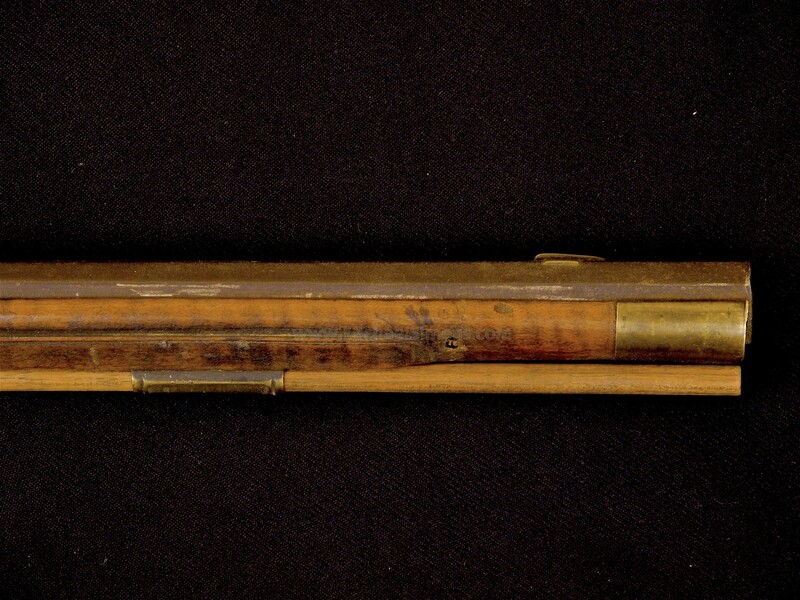 It shows the trademark Lion & "IB" mark on the barrel breech and retains its original length and good rifling. The carving on the cheek-piece is so tall, it appears to have been finished yesterday. 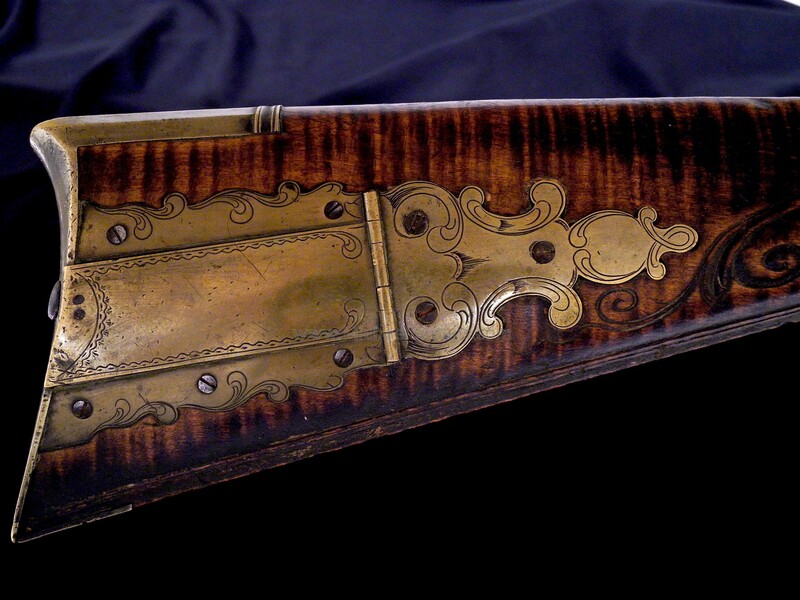 Rather than go on and on about its wonderful features as I usually do, I'll let the collecting fraternity admire the photos. (in this case, I was finally able to take good ones). 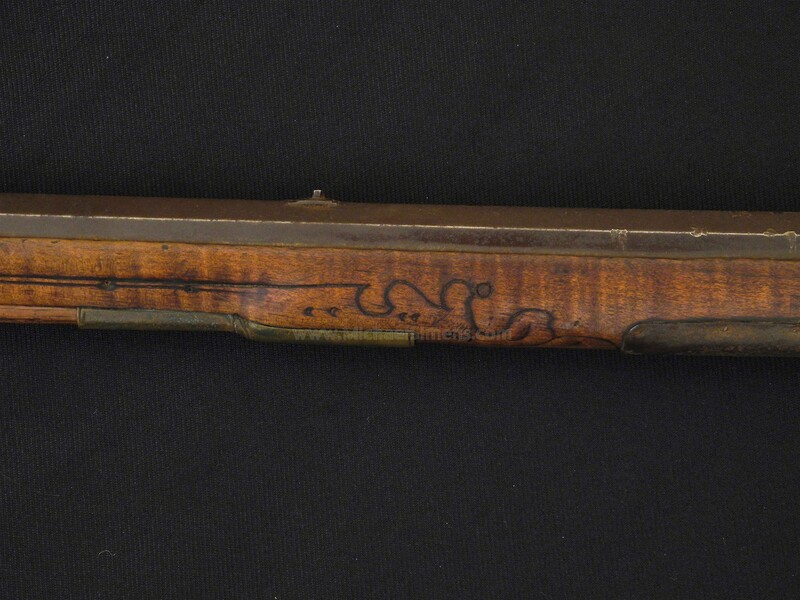 For those of you that collect guns because of their beauty (such as engraved Colts or Winchesters) but don't have a Kentucky Rifle, you're missing the boat. 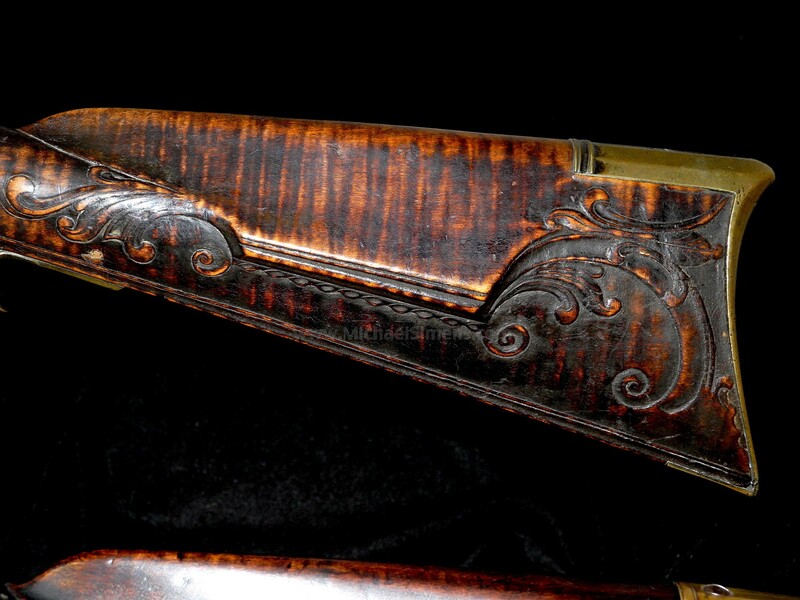 If you are a veteran lover of only the finest Kentucky Rifles, a new collector that has been searching for that special piece, or an eclectic hobbiest that has fancied the thought of adding an iconic piece to a collection of extremely rare Americana, I have your rifle. And examples such as this don't come around very often.